Please accept my humble obeisances. All glories unto you. Recently, while residing in the shade of Govardhana Hill, I was honored to listen to your morning walks, Srimad-Bhagavatam classes, and conversations recorded thirty-seven years ago when you visited South Africa. Listening to your transcendental voice is a very relishable and intimate way of associating with Your Divine Grace. I have also been trying to increase my appreciation of your sincere followers. I want to develop genuine love for all your associates, whether big (guru) or small (laghu). 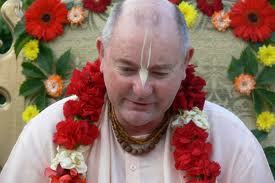 During the history of the South African yatra and ISKCON in general, so many Vaisnavas have come and apparently gone. All of them contributed something to your mission, and therefore you will not fail to notice their sacrifice. The associates of Sri Caitanya Mahaprabhu were many, but none of them should be considered lower or higher. This cannot be ascertained. I offer my obeisances to all the dear devotees of Sri Caitanya Mahaprabhu, the eternal tree of love of Godhead. I offer my respects to all the branches of the tree, the devotees of the Lord who distribute the fruit of love of Krsna. [PURPORT] Sri Krsnadasa Kaviraja Gosvami sets the example of offering obeisances to all the preacher devotees of Lord Caitanya, without distinction as to higher and lower. Unfortunately, at present there are many foolish so-called devotees of Lord Caitanya who make such distinctions. For example, the title “Prabhupada” is offered to a spiritual master, especially to a distinguished spiritual master such as Srila Rupa Gosvami Prabhupada, Srila Jiva Gosvami Prabhupada, or Srila Bhaktisiddhanta Sarasvati Gosvami Prabhupada. 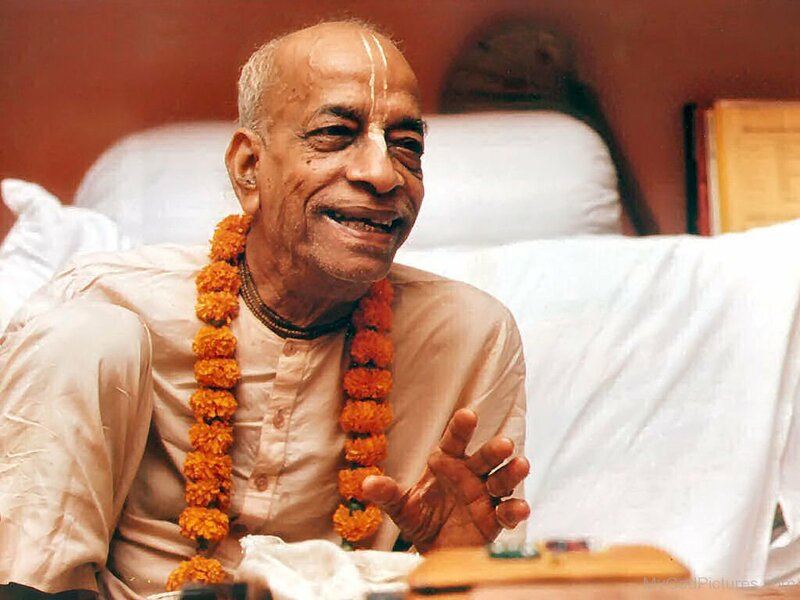 When our disciples similarly wanted to address their spiritual master as Prabhupada, some foolish people became envious. Not considering the propaganda work of the Hare Krsna movement, simply because these disciples addressed their spiritual master as Prabhupada they became so envious that they formed a faction along with other such envious persons just to minimize the value of the Krsna consciousness movement. To chastise such fools, Krsnadasa Kaviraja Gosvami very frankly says, keha karibare nare jyestha-laghu-krama. Anyone who is a bona fide preacher of the cult of Sri Caitanya Mahaprabhu must be respectful to the real devotees of Lord Caitanya; one should not be envious, considering one preacher to be very great and another to be very lowly. This is a material distinction and has no place on the platform of spiritual activities. Krsnadasa Kaviraja Gosvami therefore offers equal respect to all the preachers of the cult of Sri Caitanya Mahaprabhu, who are compared to the branches of the tree. ISKCON is one of these branches, and it should therefore be respected by all sincere devotees of Lord Caitanya Mahaprabhu. Following in the footsteps of the previous acaryas, I would also like to humbly offer my respects to all your exalted disciples and granddisciples and great-granddisciples. By pleasing them, I can please you. By serving them, I can serve you. This is anugatya-seva, or anugatya-dharma. Both on this plane and in Goloka Vrndavana, this concept of being the servant of the servant is essential. In your apparent physical absence, my esteemed godbrothers are my only shelter. If I can serve them and please them, I am confident this will please you. I accept your desire and instruction as coming through them. I don’t have the strength to approach you directly, but I can approach you through those who know how to serve you. I am very wretched, worthless, insignificant, and destitute, and I pray one day to be recognized as your disciple. For the time being, I will offer my respects to all of your followers without consideration of guru-laghu-bhava, the conception of higher or lower. You have touched the heart of so many devotees, and although over the years they may have temporarily drifted from the strict practice of vaidhi-sadhana-bhakti, they still feel some incredible attachment to Your Divine Grace. In French it is je ne sais quoi—you possess a special, unique, indescribable quality that endears you to your followers. Perhaps in some future lifetime I can call myself a real follower and disciple of Your Divine Grace, but for now let me rub my head in the dust of your true followers, whether they are guru or laghu. Sukumari, will you speak now? Sukumari dasi: Maharaja, when you said that you were not coming to India, my guru maharaja was very sad. He said that he has a notebook in which he writes down questions and different things that he needs to discuss with his godbrothers. And he was sad that he couldn’t ask you those questions on this trip. At one point, when the message was sent on the conference that you were not coming to India because the doctor had said it was not good for you to travel, and you quoted Bhurijana Prabhu’s letter and asked everyone to pray for you, I printed that message for my guru maharaja. Later he told me that for forty-five minutes during his japa he was thinking about that e-mail, and he was seriously thinking of writing you and asking you to please come. But then I told him that Indradyumna Swami had also advised you not to come. And he said that of course Indradyumna Maharaja understands your health condition better than he does and questioned how he could ask you to come—if he did, it would be for his personal gain. Still, he said that he’d be hoping that something could happen in your health situation that would permit you to come and he could get your association. There’s a special room that he has made in his house during the past few years. We call it his japa room, because most of the time he sits there and chants. But what’s so special about this room is that on the wall there are framed pictures of godbrothers—and now godsisters—who are dear to him. He says that every morning before he chants, for at least forty-five minutes he offers prayers and incense to different devotees there. That’s his altar, he said. So when you were reading his offering, I was thinking that he is not just saying it; he really means it, and he is doing it every day. I pray that one day—whatever he is teaching me by his example—by the blessings and guidance of everyone, I can follow in his footsteps of taking shelter of devotees. Radha-priya dasi: I’ve been hearing so much about my guru maharaja from Sukumari today. I was just telling her that in the twelve years of being away from South Africa, of being here, this is the first year that I actually have a godsister with whom to share this day. So it is really special, and even more special that we get to do something for my guru maharaja right here with you. There are two very important instructions that my guru maharaja gave me many years ago. One, he always emphasized chanting, that whatever may happen we should continue with our chanting and be very sincere about our chanting. And the other was that, as most of our advancement in devotional service is due to the association of devotees, we should always endeavor to be with devotees, to be in the association of devotees, especially senior, advanced devotees, to take instruction from them and to serve them. He said that if we concentrate on just these two things—chanting and associating with and serving the Vaisnavas—then our life becomes perfect and we will go back to Krsna. The last few months, I have been thinking so much about serving devotees. I have always liked to serve the devotees, but an overwhelming mood has come over me the last four months. I just have a very, very intense desire to serve the devotees in whatever capacity I can, and it is all coming from my guru maharaja, from his mercy. And he gave me another important instruction regarding associating with devotees: in every letter, in every conversation I have with him, he always tells me that I should just hang onto your—Giriraj Swami’s—lotus feet, no matter what. I should serve you, serve you, and serve you—do whatever I can to render you some service. He guaranteed that if I continue serving you I will definitely go back to Godhead. Today I am begging for his mercy and your mercy, Maharaja, that no matter what happens—I have my good days and my bad days—you always give me this chance to serve you. That way I know that I am serving my guru maharaja and that—if I continue with this service—he will be very pleased with me. Swarup Damodar dasa: Partha Sarathi Maharaja is very encouraging to me personally in my spiritual life and service in Durban. He has a very nice way of making light of challenges in life and in service. All of us know him. He is a very humorous person, and he loves teasing. He really loves teasing a lot, and whenever he gets a chance, he always teases me about something; often it is about soccer. I get the sense when he teases that he kind of makes light of all the challenges we have in life, because they are all temporary and by Krsna’s mercy if we just keep to our course in spiritual life, whatever challenges we face will ultimately be lifted up, away, by Krsna’s grace and by the spiritual master’s grace. What we may see as so intense and so difficult will no longer be there. Maharaja’s wonderful, gentle, kindhearted nature helps me see things like that and not just be self-indulgent and completely overwhelmed all the time. Maharaja also often speaks in public programs about the role of the temple president. He says that the temple president’s position is that when something is going wrong in the temple, the first thing people ask is, “Where’s the temple president?” But when something is going right in the temple, they say, “Oh, it is Krsna’s mercy.” Maharaja said that he had that experience when he was serving as temple president. Maharaja is a very attractive devotee, especially because of his deep attachment and taste for chanting Krsna’s holy name. Earlier this year, or late last year, in Vrndavana, Dhanurdhara Maharaja told me something in appreciation of Partha Sarathi Maharaja. He said that people sometimes consider him—Dhanurdhara Swami—to be intelligent, to have a very sharp intelligence, but that he would give away all that intelligence in the blink of an eye in exchange for a fraction of a drop of taste that Partha Sarathi Maharaja has for chanting the holy name. He finds that to be so intense, so deep, and he also prays for that taste. So, today I also pray for Maharaja’s continued generosity and encouragement, and I pray always to be blessed with his association. Hare Krsna. Maharaja has been very kind and merciful to us. In the early days when he had no disciples in Port Shepstone, we used to have a lot of his association. He used to come and spend a lot of time with us. He would stay with us. We always think of the times he would come for the tent campaign. He used to take these big pots—we have pictures of him cooking the Food for Life prasada—and serve from these huge pots. He always encouraged us in Krsna consciousness and gave us a lot of mercy—even my children and Gopala Raja; he really took care of us. So we pray that he continues to bless us to continue in our service. Kuntidevi dasi: When I joined, Partha Sarathi Maharaja was one of my first authorities. He was our sankirtana leader. Then I moved to India, and in Vrndavana also he gave me some very nice instruction, about chanting: he wrote a letter how of all the five most potent forms of devotional service, chanting is the most important. I have always kept that letter, and especially when I was living in Vrndavana I really tried to practice that. Since moving here, I haven’t seen Maharaja much. But then I became very lucky with Sukumari coming here and Radha-priya being here; in a way I felt that was even sweeter, because I got to know him so much through their association. Also, a tree is known by its fruit. I feel that some of the nicest devotees I know are Partha Sarathi Maharaja’s disciples. They are such wonderful representations of him; they have imbibed his mood so much. Every time Sukumari comes, when we take lunch we sit and talk and she tells us little stories, and through those stories I’ve gotten to know Partha Sarathi Maharaja more—his mood of humility and his love for chanting and his humility in relation to his godbrothers—and I find that so inspiring. I get the sense that Maharaja, like you, is struggling with his health—and he is in terrible pain. I feel bad that he is in so much pain, but still he sits up and chants. Carrying on despite the physical body—that is also an example for us all. I am getting a little older now and am not as strong as I used to be. We cannot take for granted that we can always go to bed at nine and get up at four. We have our physical limitations. I find it very inspiring that Partha Sarathi Maharaja, with such incredible pain and physical challenges, remains so fixed and strong in his spiritual practices. Maharaja also takes care of so many devotees. Some are doing some service but don’t have means, and he gives them laksmi. Sometimes they don’t even know. I very much appreciate Maharaja’s mood of really just looking for the essence of devotional life. It is said in the Bhagavatam that Krsna sees the essence of a devotee’s mood, and Maharaja embodies that spirit. Not making distinctions between high and low—that is our mood. In the material world, there is so much emphasis on higher and lower, on material qualifications. I don’t see Maharaja very much, but I always like to send a little gift for him, and he always acknowledges that, no matter how small it is. I don’t even send a note or letter, because I feel so unqualified, but he always writes me something in return. And it is very, very nice to have Sukumari and Radha-priya here. In that way I feel that I get more of his association. Giriraj Swami: I have known Srila Partha Sarathi Das Goswami for almost three decades. Still, for the sake of time, I will just touch on a few points. When I first came to South Africa, he was the sankirtana leader. He had suspended the tent campaign, because the devotees were concentrating on building the Sri Sri Radha-Radhanath temple in Chatsworth. (Later, after consulting some godbrothers, he revived it, and that was very powerful.) He was intensely absorbed in his service and in engaging and encouraging the devotees. He took his service—and the care of the devotees under him—very seriously. When Bhagavan Prabhu left, Partha Sarathi Maharaja was very strong on the point of Prabhupada’s disciples not imitating him, not posing to be the same as Prabhupada. When I was able to get back into India, we spent a lot of time together in Vrndavana, from 1990 to 1998. Then, last November and December, we were together at Govardhana. He came to see me almost immediately after he arrived, and we had a very intimate talk. He was asking questions and was writing down what I was saying, taking it seriously—like what he wrote in his offering. He also met with Niranjana Swami, who was also at the Bhaktivedanta Ashram at the time but then left soon thereafter. One evening, Kesava Bharati Maharaja and Bhurijana Prabhu and I went over to Partha Sarathi Maharaja’s place, and we had a most wonderful discussion of sastra and Krsna consciousness and Srila Prabhupada. Maharaja is very learned in scripture. He reads many, many books, and he knows the concepts and the technical Sanskrit terms. Although he was raising many questions, I felt it was really his way of engaging us in krsna-katha and encouraging us to think more deeply about important spiritual topics. In 2007, on my first visit to India after being away for many years because of my health, we also overlapped briefly at Govardhana. I was going to go to Jagannatha Puri for the first time, and I asked him for his advice. He recommended that I read the book Embankment of Separation by Srila Gour Govinda Swami Maharaja, which became a constant meditation of mine in Puri. I really do have to follow what the doctor said. The doctor also knows me well, so I should follow his instructions. But it is also very important for me to go to India and spend time with Partha Sarathi Das Goswami, whenever my health allows. Maharaja does take very good care of his disciples, and of thousands of other devotees as well. It’s amazing. One year in Mayapur, that time when I went in 2007, I became very sick. I had a high fever, severe diarrhea, complete loss of appetite, and extreme weakness—I couldn’t do anything, and it was really miserable. Some days earlier, Nama Cintamani’s sister Padyavali had given me Maharaja’s book Bhakti: An Affair of the Heart. In the throes of that debilitating illness, I turned to that book, and it gave me so much direction and solace. It directly addressed so many issues that I was facing, especially being so ill and being unable to participate in the devotional programs. And through reading it, I felt that I was getting Maharaja’s intimate, personal association—on a very high, pure level of Krsna consciousness. I felt that he was right there with me, guiding me through a very difficult time. And that was very, very encouraging and enlightening. So I also have faith that anyone who reads his books in a sincere mood—I was quite desperate at the time—can get real guidance from Maharaja and experience his association, his love and care and kindness and compassion and spiritual insights—all through his books. Of course, these are just a few little drops from the ocean, but for the sake of time we will leave it at that for now. Thank you very much for this posting. 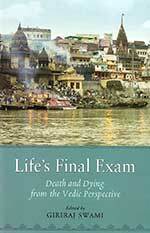 I read it 3 times as there is so much to take in about Maharaj’s words and personal instructions and Yours and the devotees realisations. Maharaj has also had a deep impact on my spiritual life but unfortunately due to time and being physically separated from him I had forgotten. Reading this posting has re- awakened my appreciation for him.